« Holiday Food Traditions Class – You’re Invited! Heritage of Darkness Launch Events! 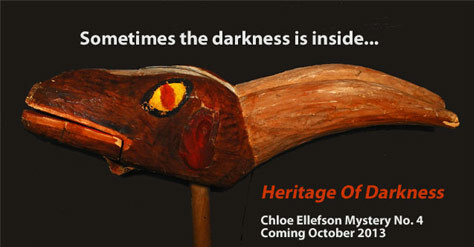 Heritage of Darkness, the 4th Chloe Ellefson Historic Sites Mystery, will soon be published! And I have some great launch events—including two special Chloe’s World Tours at Vesterheim Norwegian-American Museum—planned for my wonderful readers. For curator Chloe Ellefson, a family bonding trip to Decorah, Iowa for rosemaling classes seems like a great idea—until the drive begins. Chloe’s cop friend Roelke takes her mother’s talk of romantic customs good-naturedly, but it inflates Chloe’s emotional distress higher with each passing mile. After finally reaching Vesterheim Norwegian-American Museum, Chloe’s resolve to remain positive is squashed when she and Roelke find Petra Lekstrom’s body in one of the antique immigrant trunks. Everyone is shaken by the instructor’s murder, and when Mom volunteers to take over the beginners’ class, Chloe is put in the hot seat of motherly criticism. As she investigates, Chloe uncovers dark family secrets that could be deadly for Mom . . . and even herself. 1. Book Signing, Saturday, October 12, Noon – 5 PM; Old World Wisconsin, Eagle, WI. The award-winning Chloe Ellefson Historic Sites mysteries feature protagonists who work at Old World Wisconsin and in the nearby Village of Eagle. I will be greeting visitors and signing books from Noon to 5 PM in the museum store, which will have copies of my mysteries for sale. Get an autographed copy of Heritage of Darkness, and then explore the locations at Old World where key scenes in the series take place. Free “Locations Guides” can be downloaded from the Old World Murder and The Heirloom Murders pages on my website. Note: while tickets are not needed to visit the store, there is a fee to explore the museum’s extensive grounds and buildings. Old World Wisconsin – (262) 594-6301 – W372 S9727 Hwy 67, just south of Eagle, WI. 2. Book Signing, Sunday, October 13, 10 AM – Noon; Islandtime Books, Washington Island, WI; 10 AM. I’ll be greeting guests and signing copies of Heritage of Darkness at this wonderful independent bookstore. You can also get The Light Keeper’s Legacy, which is set on Rock and Washington Islands, and the first two books in the series. Islandtime Books – (920) 847-2565 – 1885 Detroit Harbor Rd., Washington Island, WI. 3. Launch Party, Tuesday, October 22, 6 – 7:30 PM; Mystery To Me Bookstore, Madison, WI. I’ll be introducing the latest Chloe adventure and signing books from 6 to 7:30 PM in Madison’s newest mystery bookstore, which will have copies of all the Chloe Ellefson Historic Sites mysteries for sale. There will be mementos for all guests, great door prizes, and another fabulous cake by Alisha Rapp. Mystery To Me Bookstore – (608) 283-9332 – 1863 Monroe Street, Madison, WI. 4. Book Signing, Thursday, October 31, 5 – 7 PM; Vesterheim Museum, Decorah, IA. Heritage of Darkness is set in Decorah at Vesterheim Norwegian-American Museum. I’ll be signing books from 5:00 to 7:00 PM, Thursday (Halloween Night) in the museum’s Bruening Visitor Center at the corner of West Water and Mechanic Streets. Vesterheim Norwegian-American Museum – (563) 382-9681 – 502 West Water St., Decorah, IA. 5. Ticketed Chloe’s World Tour, Wednesday, December 4, 5:30 – 8:30 PM; Vesterheim Norwegian-American Museum, Decorah, Iowa. An after-hours Chloe’s World tour. The tour will take readers through the museum, highlighting the locations featured in Heritage of Darkness. Stops will include the Norwegian House, the rosemaling and woodworking exhibit galleries, the vault, and the Valdres House in the Open-Air Division. The tour also includes a stop at one of the museum’s collections storage facilities for a peek at some hidden treasures. A visit to the rosemaling classroom featured in the book, where participants will enjoy dinner with the author. The meal will include the soup featured in Heritage of Darkness, salad, and drinks. A sampling of Norwegian Christmas cookies and a book discussion in Vesterheim’s new Visitor’s Center. Favors for all participants, plus special door prizes. Tickets for this event cost $25. Reservations are required and can be made by calling 563-382-9681 and asking for Jocelyn. The tour will begin in the lobby of Vesterheim Norwegian-American Museum, 502 W. Water Street, Decorah, Iowa. Please gather at 5:20 PM. 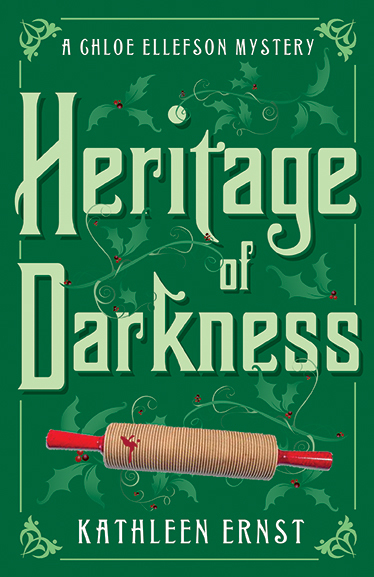 Since the tour and discussion will include major plot points, guests are encouraged to read Heritage of Darkness in advance. Museum members and those registered for the ticketed tour who order the book through Vesterheim’s Museum Store will receive a 10% discount. 6. Free Chloe’s World Tour, Thursday, December 5, 10 AM – Noon; Vesterheim Norwegian-American Museum. The tour will take readers through the museum, highlighting the locations featured in Heritage of Darkness. Stops will include the Norwegian House, the rosemaling and woodworking exhibit galleries, the vault, and the Valdres House in the Open-Air Division. The tour also includes a stop at one of the museum’s collections storage facilities for a peek at some hidden treasures. The tour will begin in the lobby of Vesterheim Norwegian-American Museum, 502 W. Water Street, Decorah, Iowa. Please gather at 9:50 AM. Since the tour will include discussion of major plot points, guests are encouraged to read Heritage of Darkness in advance. I’ll be visiting several blogs in coming weeks—and doing a Giveaway at each stop! Visit and leave a comment, and you’ll be eligible to win your choice of the Chloe Ellefson Historic Sites Mysteries. More tour stops will be added, and posted on my Facebook Author Page. There is nothing better than connecting with readers! I hope to see you, or hear from you, during one of these events. 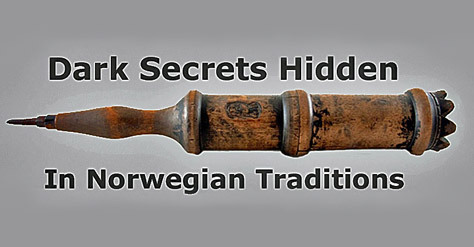 This entry was posted on September 8, 2013 at 10:32 pm and is filed under Heritage of Darkness, Vesterheim Norwegian-American Museum. You can follow any responses to this entry through the RSS 2.0 feed. You can leave a response, or trackback from your own site. What a wonderful marketing plan and schedule of activities. Just wished I lived nearer and could attend! Arletta, that would be great fun. I’ve just got to set a book out your way one of these days. I am reading the first Vhloe book and loving it! Hoping to bring marabird to OWW in Oct! I would love to see you and Marabird! Oh, I can’t wait for Chloe’s new book. I am moving back to the Seattle area permanently, but now I am trying to figure out how to come to Vesterheim while you are doing the Chloe World Tour. Oh, so many wonderful things to do and so little time! Hi RuthAnn – I’m sure that moving back to Seattle permanently will make your life easier in many ways, but we’ll miss you in the Midwest! If you can figure out the logistics, it would be wonderful to see you for the Chloe Tour. If not – best wishes on the move. Isn’t it nice that we can still stay in touch this way? It’s wonderful we can stay in touch no matter where the journey takes us. Perhaps you’ll get to the Seattle area again some day, too. Fantastic tour. This looks like a wonderful book. I will be checking it out. Thanks, Rosi. I hope you enjoy! Terry, you just made my day! Thanks so much for taking the time to share your kind thoughts. I love writing this series, so it’s wonderful to hear from a reader who is enjoying it too. I know you’d love visiting Decorah–and you’d be able to envision every scene in the book! Our son just graduated from Luther College in Decorah Iowa. It took us 4 years but we finally managed to see the museum last May. I love mystery books. Being of Norwegian descent, I look forward to reading and relating to your new book, Heritage of Darkness. A few days ago I was listening to Wisconsin Public radio and heard you talking about it. I am sure I will enjoy your other books as well. Thanks you for highlighting the Midwest region in your stories. Thanks so much for connecting! Decorah is a great town, and isn’t the museum wonderful? It’s my great pleasure to be able to highlight special places in the Chloe Ellefson mysteries. I hope you enjoy the series.